Ginger lends its zing to sweet and savory dishes and drinks across a wide range of cuisines. In Indian and Asian cooking you will find fresh ginger root in many meat, seafood, and vegetable dishes. In Western cooking, ground ginger often flavors cookies, quick breads, and drinks such as ginger ale, tea, and coffee. It is also very common to find ginger in Caribbean dishes. Ginger is a spice that comes from the fresh or dried root of the ginger plant, Zingiber officinale. This plant belongs to the same family as turmeric and cardamom. It was domesticated in the islands of Southeast Asia and was known only in the West by being imported during the spice trade. Ginger is available in six forms: fresh, dried, pickled, preserved, crystallized (or candied), and powdered or ground. Ginger has different uses depending on the form and variety. Ground ginger, also referred to as powdered, is the dried and ground ginger root. It is readily available in standard supermarkets and is used primarily in sweets and curry mixes. Fresh ginger is available in two forms: young and mature. The young roots are also called green or spring ginger. They have a pale, thin skin that requires no peeling, is very tender and has a milder flavor. It can be grated, chopped, or julienned for use. Mature ginger root has a tough skin that must be peeled away to get to the fibrous flesh and is usually grated, chopped, or ground for use. If you notice a blue ring after slicing your fresh ginger, do not be alarmed. It is not mold or fungus. It is simply a Hawaiian variety of ginger known as blue-ring ginger or Chinese white ginger. This variety is considered to be superior for its juiciness and bright flavor. They are also larger rhizomes and generally cleaner. The only down-side is blue-ring ginger is usually more expensive. Dried ginger is usually found in whole fingers and also in slices. It is usually soaked in recipe liquid before using. Pickled ginger, called gari or beni shoga in Japan, is pickled in sweet vinegar and is usually colored bright red or pink. It is a familiar accompaniment to sushi and is also eaten to refresh the breath. Available at Asian markets, it should be kept refrigerated in its container. Preserved ginger is available in Asian and specialty markets. This form has been preserved in a sugar-salt mixture. It is generally used as a confection or added to desserts, and it is especially good with melons. Crystallized or candied ginger has been cooked in a sugar syrup until tender and then coated with granulated sugar. It is commonly used in desserts and can easily be made at home. The flavor of fresh ginger is peppery and slightly sweet, with a pungent and spicy aroma. Much like garlic, fresh ginger mellows with cooking and turns bitter if burned. The ground form is not as strongly flavored but has a warm bite and a little sweetness. Ground ginger most commonly used in sweet desserts and is not normally interchangeable with fresh ginger. Mature fresh ginger must be peeled and then grated or chopped, while young ginger does not need to be peeled. It is added to food during cooking. Ground ginger can simply be added at the appropriate step to the batter or the cooking pot. Pickled ginger is served on the side as a condiment. Ginger in its varied forms is included in a vast array of savory dishes, spice blends, condiments, sauces, desserts, and drinks. Ground ginger is more concentrated than fresh ginger but has less of a bite. The standard is 1 tablespoon of fresh ginger equals 1/4 teaspoon of ground ginger. However, this won't be appropriate for every recipe, such as in baked goods. In those cases, it would be better to substitute another ground spice such as pumpkin pie spice, allspice, cardamom, cinnamon, mace, or nutmeg. These can also be used as a substitute for fresh ginger in a pinch. When making sweets, you can substitute 1/8 teaspoon of ground ginger for every tablespoon of crystallized ginger, and adjust the sugar according to taste. Ground ginger can be found in the spice section, sold in small bottles. Look for crystallized ginger in the baking section. You may need to go to an Asian or specialty market to find pickled ginger or preserved ginger. Fresh ginger can be found in the produce section of most grocery stores. Look for smooth skin with a fresh, spicy fragrance. Tubers should be firm and feel heavy. Long length is a sign of maturity, and mature rhizomes will be hotter and more fibrous. Avoid those with wrinkled flesh, as this is an indication of aged ginger past its prime. For convenience, you may find fresh ground ginger root in the produce section, available in plastic bottles that require refrigeration. Ground ginger and dried ginger should be kept in a cool, dark cabinet in an airtight container for the best shelf life. It's good to regularly replace ground spices as they lose their potency over time. Peeled ginger root may be stored in Madeira or sherry wine in a glass container in the refrigerator up to three months. However, storing peeled ginger in wine will impart a wine flavor to the end ginger dish, so you may wish to forego this pre-prepared method for use in dishes where a wine flavor is not desirable. Pickled and preserved ginger should be kept in their original containers in the refrigerator. Store crystallized ginger in an airtight container in a cool, dark place for up to three months. Ginger has traditionally been used to relieve upset stomach, motion sickness, morning sickness, and other gastrointestinal problems. The National Center for Complementary and Integrative Health (NCCIH), a division of the National Institutes of Health, says there is some scientific evidence that it can help with pregnancy-related nausea and vomiting, and when used with conventional anti-nausea medication, can help control nausea caused by cancer chemotherapy. The benefits are less clear that it can help in motion sickness and post-surgery nausea. While it has been studied to see if it is helpful for those with rheumatoid arthritis and osteoarthritis, the results are not clear. Ginger hasn't been shown to cause harm, but it hasn't been proven to be completely safe when taken during pregnancy. 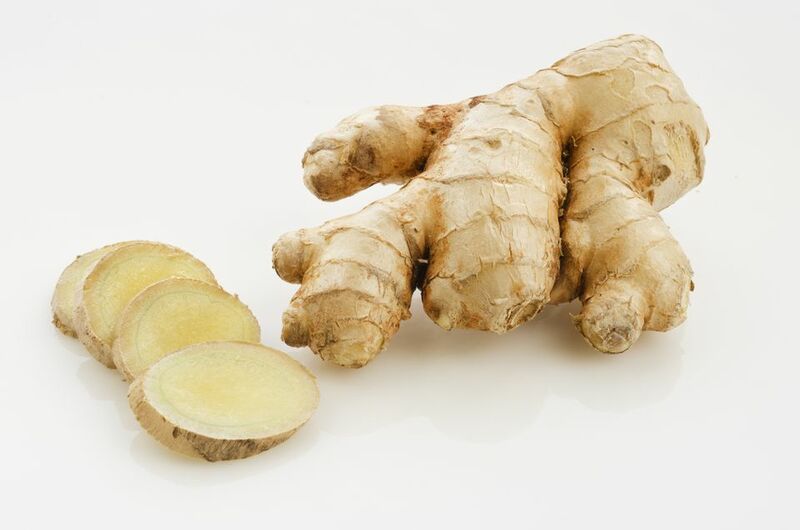 The NCCIH recommends discussing this with your doctor before using ginger during pregnancy.